Fashion is something of a necromancer. Which, in case you weren’t an RPG fan growing up from the 1970s onwards, means it communicates with dead trends to create new ones – and sometimes even revives them entirely. This year, if we weren’t scouring vintage stores for a quality suede overshirt, then we were re-discovering 1990s-era casual wear brands (Ellesse, anyone?) we’ve unreservedly snubbed since originally sporting them. Proving fashion’s penchant for reanimation, 2015 was all about the 1970s and 1990s; two decades that both high-end runways and high street windows everywhere have referenced for this season and next, but that couldn’t be further apart in their aesthetic leanings. So, partially in an effort to make up our own minds, we asked a select group of style authorities to tell us which of the decades is their favourite, and why. Already lying about your age? Then look away now. Because we’re as close today to 2040 as we are to 1990. Yes, the decade of Pogs, boybands and Mortal Kombat is now far enough in the past that it’s officially considered ‘vintage’, which also means it’s newly ripe for contemporary fashion to pick over. But while 1990s’ menswear’s accelerating commercialisation might detract from its appeal, the decade also ushered in a fresh, rawer take on style, and a backlash against the skyscraping shoulders, glitter and blinding colour of the 1980s (yes, we’re still talking menswear), in the form of grunge and leisurewear. “Grunge is very versatile,” says journalist and editor at The Calvert Journal, Anastasiia Fedorova. “Oversized sweaters with holes and jeans is [part of men’s] uniform these days.” Along with flannel shirts, worn denim and low-fi trainers, came the mainstreaming of sportswear and the crumbling of the smart/casual divide, which continues to influence our athleisure-centric wardrobe choices today. “Generally, in an urban setting, I think 1990s style is a better choice [than 1970s] – with all the skater and sportswear influence, it’s comfortable enough to survive in a world [that often has] too much choice,” she adds. Overall, it’s easier to pick a designer that hasn’t referenced the 1990s recently, with all its pared-back simplicity, big-name logos and sports cuts and fabrications. If you fancy reacquainting yourself, look to some of today’s most important designers channelling the decade: Gosha Rubchinskiy, Christopher Shannon and Italo Zucchelli at Calvin Klein Collection, or tap 1990s-inspired brands like Palace and Fila. Steer well clear, however, of what Eary calls the “macho over-denimed, over embellished” aspect of the 1990s – i.e. anything that makes you look like Coolio at the 1996 Grammys or John Stamos in Full House. No one needs to see that again. Ah, the 1970s. Not only did they bring us disco, salmon mousse and Abigail’s Party, but it’s also the decade that arguably spawned more iconic trends than any of those that went before it. 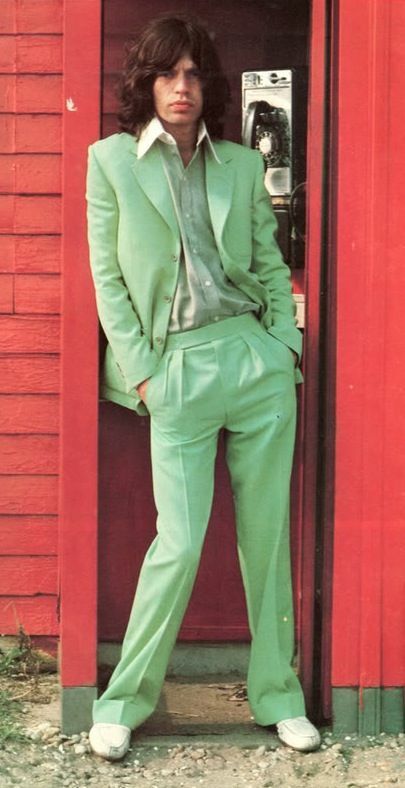 Indeed, while not all the tastemakers we talked to had even been born then, the 1970s seem to hold an inimitable sense of cool; not least because tailoring of the time (slim-cut, wide-lapelled jackets and flared trousers) was so far removed from the clean, technical tailoring we’re favouring at present. On a more rambunctious note, the 1970s in many ways defined what we now consider to be the archetypal rock ‘n’ roll look. 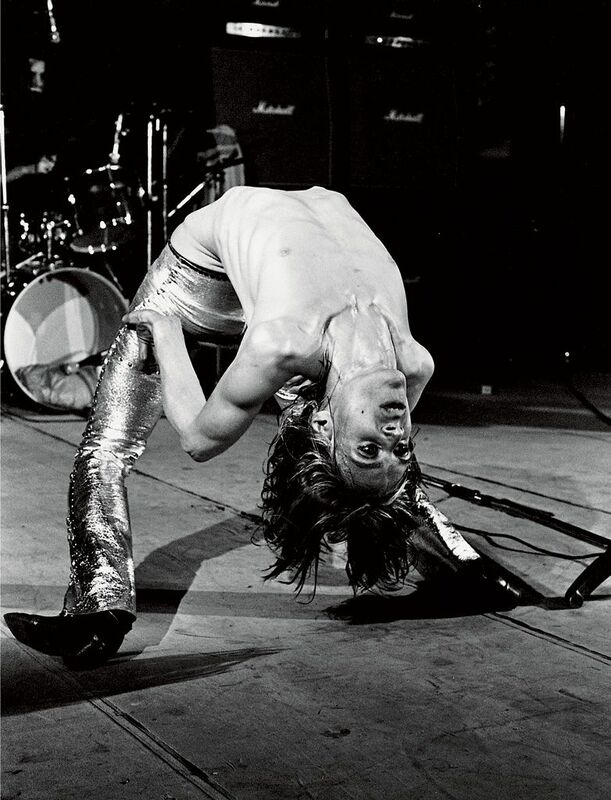 “1970’s rock was so much sexier [than 1990s], so much more experimental thanks to Bowie, Iggy Pop, Jim Morrison, Lou Reed and Mick Jagger,” says Eary, who cites Mick Jagger in an all-green suit, Iggy in tight silver trousers and Sid Vicious in torn jeans (that could be, ahem, ripped straight from one of Hedi’s Saint Laurent runways). “At that time, for the first time, music, art and fashion became one thing. Nothing compares to that,” says Eary. Key to this year’s 1970s resurgence in menswear has been Alessandro Michele, recently appointed to the helm of Gucci; a designer who’s packed his runways (and the wardrobes of the likes of Harry Styles and Jared Leto) with floral suits, flares and silk shirts. But labels like recently shuttered (and much missed) Jonathan Saunders, along with Prada and J.W. Anderson, have been mining this look at the edgier end of the spectrum for the past few seasons, consistently unveiling collections bursting with 1970s-inspired geometric patterns and exaggerated cuts. As for giving it a go yourself, we’d suggest baby steps. Hell-for-leather 1970s looks like Styles’ red carpet ensembles aren’t exactly entry-level fare, so steer subtle with plain colours and switch up your cut instead. “[Try something] sartorial with a roll neck and blazer paired with a flared trouser, or slick with a tight-fitting zip-up blouson and tight flared trousers,” says Ukwenya. “Although [the latter is] feminine at first glance, the fluid lines and tight-fitting styles [can be used to] show a very masculine physique.” Think Armie Hammer in The Man From U.N.C.L.E. Alternatively, for an even safer, winter-ready bet, opt for 1970s-flavoured outerwear. “I can already see a return to the 1970s coming through in menswear, particularly in outerwear with tonnes of fur-collared coats, aviator jackets, and camel overcoats,” says Gilfillan. After what seems like a decade in itself of saluting 1990s sportswear and minimalism, much of menswear’s changing tack, with 1970s vibes increasingly prevalent on agenda-setting designers’ runways. So which decade comes out on top? Which era are you more inclined to mine for inspiration? And which had the best-dressed men?